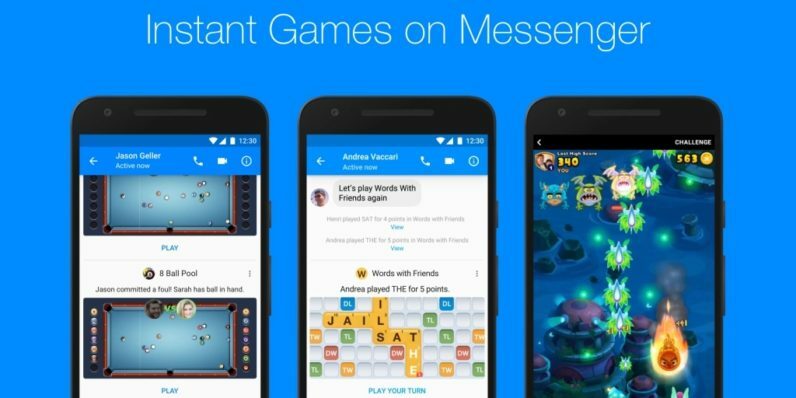 Facebook today announced Messenger games are coming out to all users, meaning you have a whole new way to waste time on your phone. Depending on what device you use and where you are located, there are now up to 50 games titles available on Messenger, with more being introduced almost every week. The games are all no-download, played within the Messenger app itself. Also, you can now play turned-based games, such as classic Words with Friends, with your friends. This goes hand-in-hand with new leaderboards and tournament play modes. The new games will roll out over the next few weeks to both iOS and Android.